Available September 19. Rated PG-13. In a world of cinematic superheroes, “Wonder Woman” rises above the others. The film expertly mixes epic storytelling, top-notch action and impressive special effects. 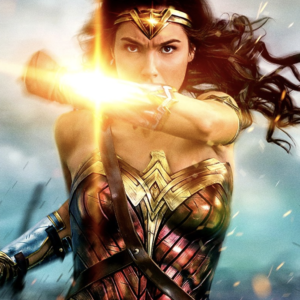 The large cast, including Chris Pine, Robin Wright, Danny Huston and David Thewlis, is uniformly good, but it is Gal Gadot as Diana, the Amazon Princess, who makes “Wonder Woman” really soar. Available September 19. Rated R.
Immensely funny and sweet film based on the real-life relationship of Pakistani comedian Kumail Nanjiani (who plays himself) and grad student Emily Gordon (Zoe Kazan). The film doesn’t mine any new depths, but the humor and pain of two people from different cultures trying to find love is well-worth the viewing. The first-rate cast includes Holly Hunter and Ray Romano. Available September 26. Rated PG-13. Let’s just be up front about this – it’s a “Transformers” movie (the fifth in the series). These are loud, bloated, CGI-laden flicks that you will either love or loathe. If you’ve enjoyed the other “Transformer” movies, this is probably in your wheelhouse. To its credit, “The Last Knight” really tries to dig into the franchise’s mythology and lore (to mixed effect), and is aided greatly by the presence of the legendary Sir Anthony Hopkins. Again, if you liked the others – get on board for another ride. Otherwise, pass. Available September 26. Rated PG. Stylish, whimsical animated film about a little creature, Mune, who is selected as the new Guardian of the Moon. However, when a disgraced former Guardian threatens the sun, Mune must team up with Sohone and Glim to save the world. While the film is for kids, “Mune” is a film the entire family can enjoy – especially those who love quality animation. Sam Elliott plays a once popular actor who must come to terms with the decisions of his life in the face of mortality. The script is conventional and cliche ridden, but that does not diminish the powerful emotions that the film conjures. The supporting cast, which includes Laura Prepon, Nick Offerman, Krysten Ritter and Katharine Ross, is exceptional. But the film belongs the gruff, but lovable Elliott, who delivers the performance of a lifetime.